With 46 sq. 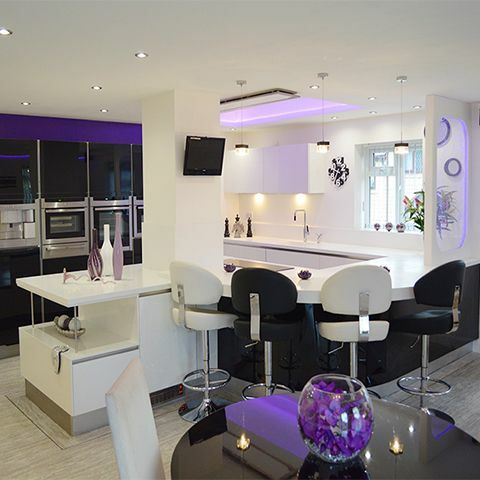 m to play with, Mr and Mrs Birch turned their redundant house extension into the ultimate party kitchen – filled with appliances for top notch cooking and a chillout area for up to 20 guests. After talking about getting a new kitchen for several years, Mr and Mrs Birch finally decided to take the plunge after realising they weren’t making the most of the space in their home. Their extension which housed an office, utility room and wet room – as well as a kitchen and dining area – was redundant. So, using their own experience of working in the construction industry, they decided to knock the five rooms into one, to create an impressive 46 sq. m kitchen. Keen to make a big improvement on their 15-year-old kitchen, the Birchs set themselves up for a real project. “Our ideas just grew and grew; the kitchen ended up becoming a redevelopment of the whole house,” says Mr. Birch. 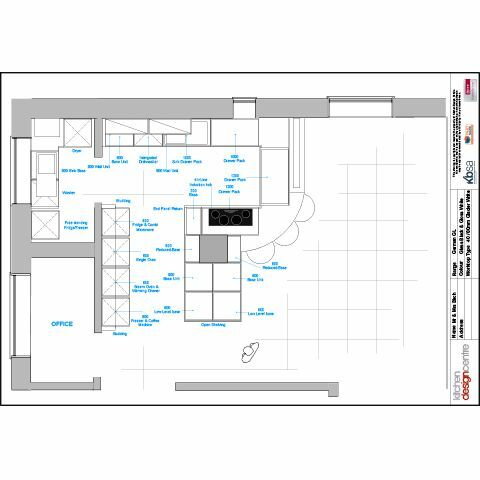 With the Birchs tackling the construction work, Simon, from the Kitchen Design Centre, began working on the plans for the couples dream kitchen. 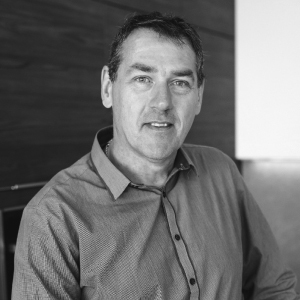 “We had first hand experience of Simon’s work, as I’ve worked with him through projects with my construction company. 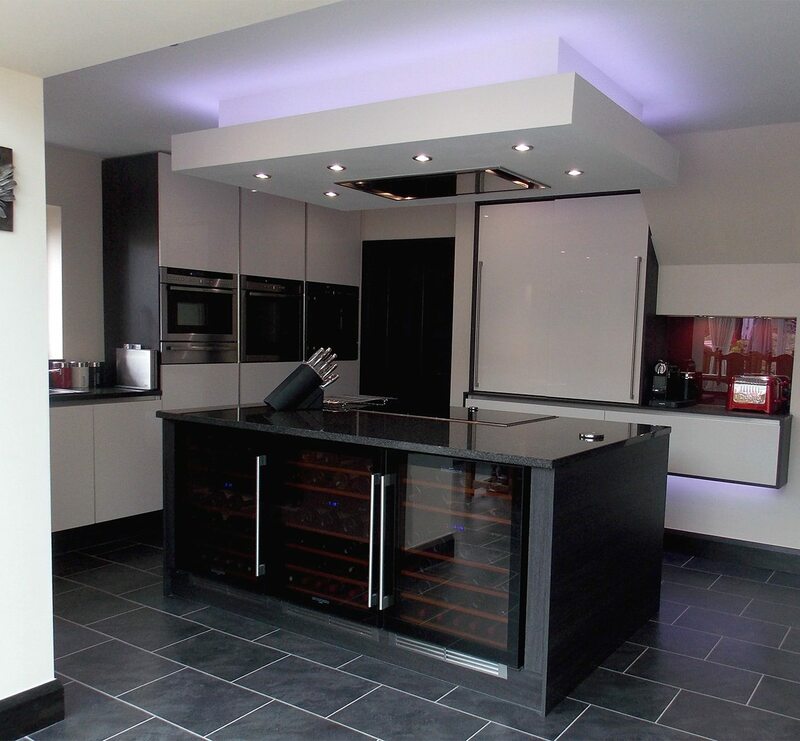 We were really impressed with all the work both he and the Kitchen Design Centre had done in the past, so it wasn’t long before I thought to myself, I want one of these too!” laughs Mr Birch. Once the plans and layout had been decided upon, the team were ready to tackle the design, and Mr and Mrs Birch knew exactly what they wanted from their kitchen. “We’ve always loved a good party, so one of the main purposes of our kitchen was to host all our friends, and for evenings of entertainment.” With this in mind, the Birchs worked closely with Simon to come up with a monotone colour palette, along with minimalist, and stylish nightclub features. The design and creativity set their kitchen apart from any other that Simon had previously worked on. Whilst the overall feel of the kitchen may be simplistic, there are many standout features which give the Birch’s kitchen real personality. One of these is the bubble wall, which comes right out of the worktop and is lit up with colour changing LED lights that sparkle all the way up to the ceiling. “We wanted a definitive break between the catering area of the kitchen and the chillout part, so the bubble wall idea just grew from that. It gave us a physical barrier, without the need for a solid block of structure,” explains Mr Birch. Other smart, stylish features include mood lighting, an inline hob – to keep the whole style of the kitchen linear, and a hidden pop out knife block and plug sockets, which are set within the worktops and remain hidden until touched – very James Bond! 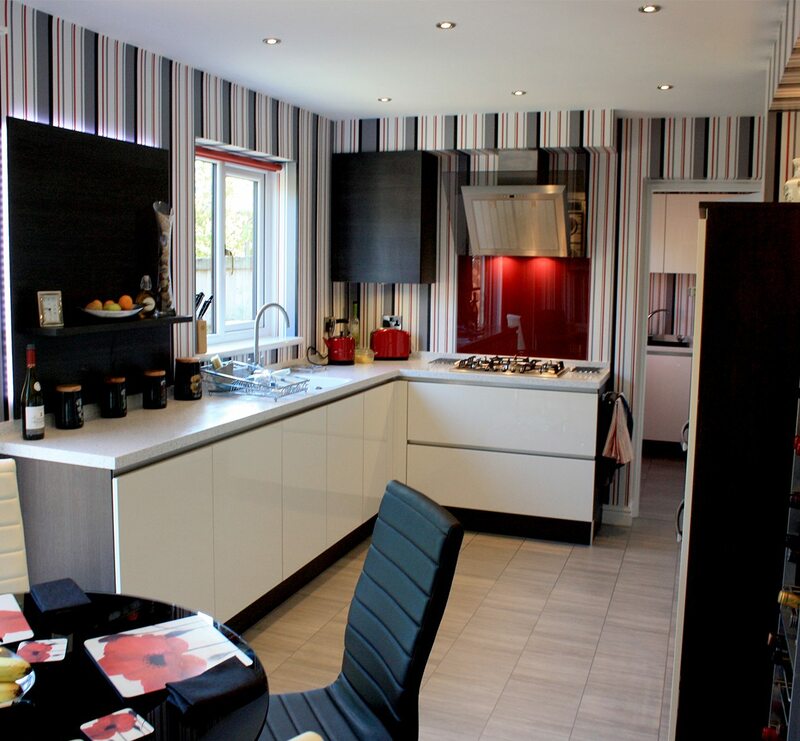 The worktops and cabinet design fit in well with the sleek feel of the Birch’s kitchen. 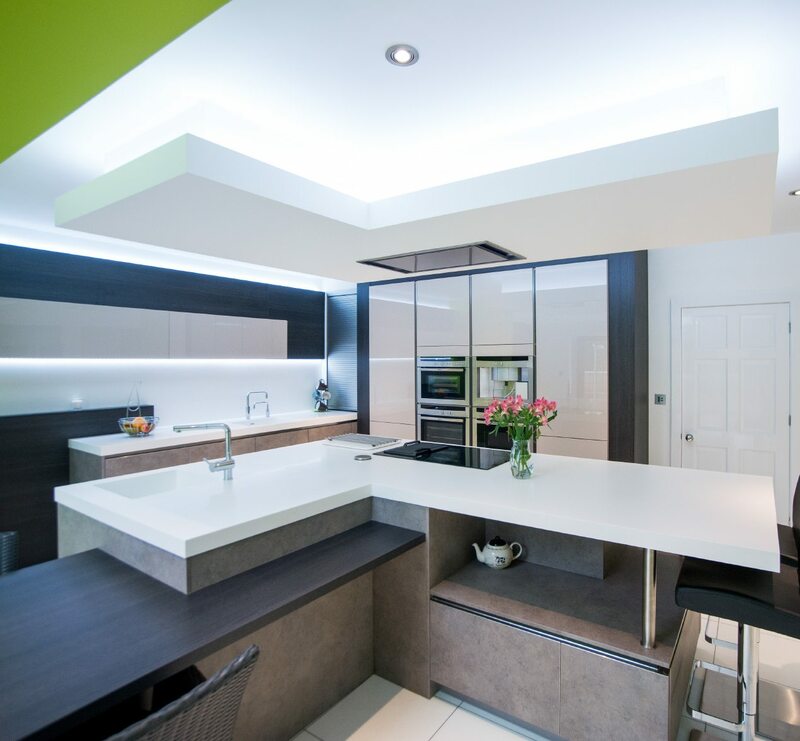 Simon chose Corian worktops with a glacier white finish, whilst the cabinets had a high gloss black and white finish, keeping the whole feel of the kitchen modern. 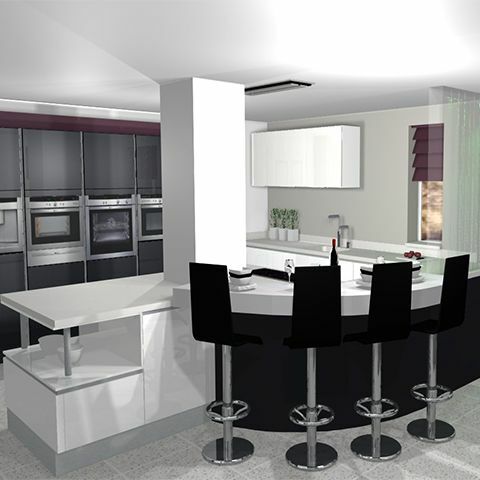 The German kitchen design was ideal for the bold statement that the Birchs wished to create in their kitchen. It brought together smooth finishes, sweeping curved lines – as demonstrated by the bar, open plan style and a real minimalist touch – accentuated by the handleless design. Like most of the Kitchen Design Centre customers, the Birchs also went along to one of the cookery demos to help them make an informed choice on appliances for their kitchen; ensuring their kitchen not only looked fabulous, but was functional too. The couple opted for high-tech appliances from the superb Neff kitchen appliances range. Their new appliances included a built in fridge, fully integrated dishwasher and coffee machine. The kitchen also benefitted from some impressive Neff cooking appliances – a single oven, a sleek inline induction hob, a combi microwave oven, and a combi steam oven, for super healthy, super tasty food, cooked to perfection. The addition of a warming drawer, ideal for keeping food and plates piping hot, was also welcomed by the busy Birch family. "We wouldn’t have done anything differently, we are so pleased with the final result." "Mr and Mrs Birch are a great couple, they knew exactly what they wanted and took on a really challenging, adventurous project. The final design was a simplistic and stylish gloss black and white kitchen - the majority being white to ensure a bright, minimalist feel." "Mrs Birch also liked sleek curves and style, so we incorporated a curved radius for the bar, as well as making sure the whole kitchen was handless, which kept the design elegant and simple."